Trinidad’s rigs stand out. Literally. Trinidad Rig 58, pictured here, is nearly 60-metres high and is one of the largest rigs in North America. But our strength as a drilling contractor is not just about size. It’s about the performance of our rigs in the field. Jeff Mitton, a Contracts Manager with Trinidad’s Canadian division, helped explain five reasons why Trinidad’s rigs stand out for the crews who work on them and for the customers who work with them. The skilled and knowledgeable crews we have working in the field are a big part of what separates Trinidad’s rigs from the rest of the pack. 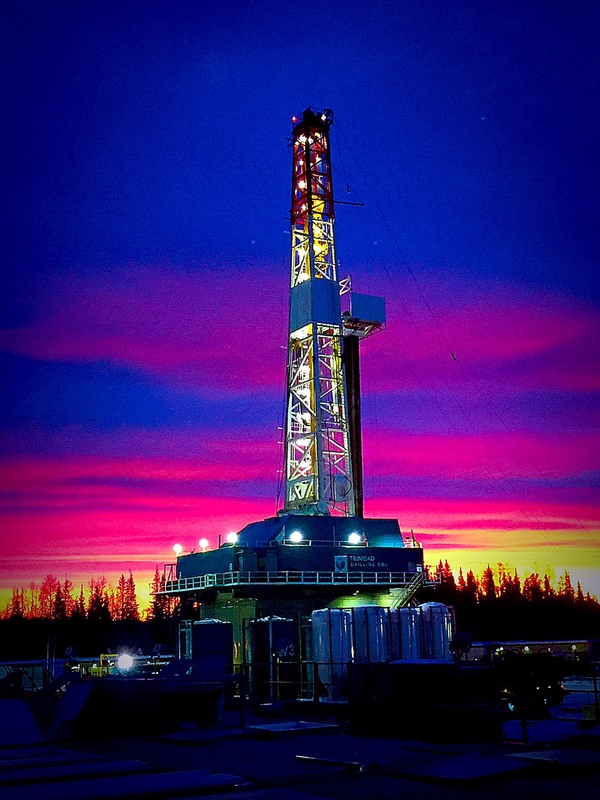 “Trinidad Drilling has an uncanny ability to bring on and train some of the best crews in the Western Sedimentary Basin,” said Mitton, who has worked both in the field and on the sales and marketing side of the drilling business. Trinidad’s company-wide training program, T.E.S.T. (Trinidad Essential Skills Training), helps ensure these talented people are always learning the skills they need to keep rigs performing safely while advancing their careers. Our rigs are some of the most active in the industry, and they’re also some of the safest. Trinidad has its own in-house design and manufacturing division, which has a reputation for utilizing new technologies – such as automation and centralized control systems – to build top-performing rigs. We build top-notch new rigs, but we’re also fastidious when it comes to taking care of the equipment we already have. Mitton, who has been in the industry for 11 years, pointed out that Trinidad is committed to maintaining and upgrading equipment to ensure it’s safe and performing its best. Commitment to safety, skilled and knowledgeable people, top-performing equipment . . . these are all things that keep customers happy and rig workers loving the iron they work on. Find out more about what sets Trinidad apart. ← Do safety meetings really matter? At Trinidad Drilling, they do.